The "Yellow Vest" spokesman stressed the need for a "cabinet reshuffle" in France, adding that the movement is sending "a strong message" to the government. "We need the government reshuffle to have ministers who will be much closer, more connected to people. That is a political aspect. At the level of economy we need the increase in the purchasing power, decrease in taxes and other things you know about," Chalencon noted. He underlined that the primary aim of the "Yellow Vests" was to fight against social injustice, stressing that the movement is "apolitical" and not affiliated with any trade unions. "We want the government to be dismissed, to have [officials] close to people’s interests. We do not want the president to be ousted, and we do not demand dissolving the National Assembly. If one of the two things happen this [will lead to] the destabilization of the country," Chalencon pointed out. Speaking about the upcoming demostrations earlier in the day, French Interior Minister Christophe Castaner said that several thousand people were expected to participate in demonstrations this weekend, including groups that could get "extremely aggressive." According to French Prime Minister Edouard Philippe, almost 90,000 police officers will be deployed across France on Saturday, including 8,000 in Paris alone, who will be equipped with armoured vehicles. Major tourist attractions and museums in central Paris, including the Eiffel Tower and Louvre, said they would not open on Saturday amid fears that the protests could turn violent. The "yellow vests" movement has been organizing protests in France since November 17 in response to the government's plans to raise fuel taxes. At least four people have died in recent protests that turned violent and more have been injured. Reacting to the protests, On Tuesday, Philippe said the government would suspend the three fiscal measures that were supposed to take effect on January, including the fuel tax increase, for six months. 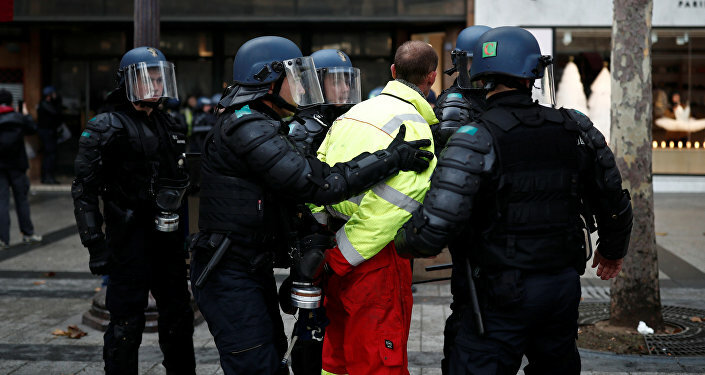 Amid the escalation in protests, however, French Finance and Economy Minister Bruno Le Maire announced on Thursday that the government would not increase the national fuel tax in 2019.